The production of plutonium is accomplished most effectively if the reactor has a high conversion coefficient. This means the use of heavy water or graphite as the moderator. These are better moderators than light water for plutonium production, because their cross sections for neutron capture are low and their relatively slow moderation rates gives more time for neutron capture in 238U (see Section 8.3.2). 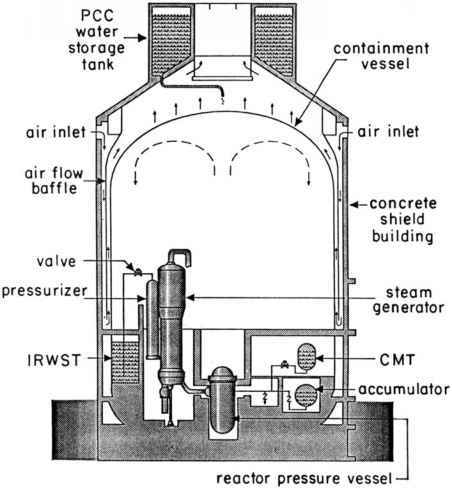 Most weapons programs have obtained their plutonium from graphite-moderated reactors; the U.S. program used both graphite-moderated reactors (at Hanford in Washington) and heavy water moderated reactors (at Savannah River in South Carolina). However, plutonium production is unavoidable in any reactor that uses 238U as a fertile fuel. Thus, any reactor is a potential source of plutonium for weapons, even if ostensibly being used for other purposes. For production of weapons-grade plutonium in a commercial reactor, standard fuel would have to be removed after a burnup period that is much shorter than normal. But even plutonium from fuel with the normal high burnup can be used for weapons, as discussed earlier. Alternatively, special uranium "targets" can be placed at selected locations in or near the reactor where they are irradiated by the neutron flux, producing weapons-grade plutonium. A summary of plutonium production capabilities of different reactors (without special uranium targets) is given in Table 17.3, based on data from Ref. . The indicated annual production for commercial operation corresponds to a 1-GWe reactor operating at a capacity factor of 100%. At a more attainable capacity factor of 80%, in the neighborhood of 300-600 kg of plutonium would be produced annually, depending on the type of reactor, corresponding to a production rate of about 0.3-0.6 kg of plutonium per GWd(t).23 The lower numbers pertain to LWRs, the dominant reactors in the world today. Of course, the product of commercial operation is normally reactor-grade plutonium, which is not ideally suited to bomb production. The critical mass for an explosive device using reactor-grade plutonium is under 10 kg (see Section 17.4.1). Thus, each year of normal operation of a 1-GWe LWR produces enough plutonium for 30 or more small nuclear bombs. 24 In addition to giving a higher percentage of 239 Pu in the plutonium, low burnup gives a higher plutonium output per unit energy generated than in a normal fuel cycle, because there is less destruction of 239Pu by fission or neutron capture. Table 17.3. Plutonium production rates for reactors operating in a commercial mode and for production of weapons-grade plutonium. "Calculated for capacities of 1 G We (commercial) and 1 MWt (plutonium production), with an assumed 100% capacity factor. bThese numbers are approximate weighted averages of values reported separately in Ref. for commercial PWRs and BWRs. Source: Derived from data in Ref. [16, pp. 462-3 and 473], with burnup rates and thermal efficiencies used there. The precise amount and isotopic purity of the plutonium obtained from a dedicated reactor depends on the capacity factor achieved, the average bur-nup, and the location of the fuel in the reactor.26 For a graphite-moderated reactor, the output approaches 1 kg of plutonium per gigawatt-day thermal [GWd(t)] or 1 g of plutonium per MWd(t). Thus, even a small graphite-moderated reactor can in a few years produce enough weapons-grade plutonium for a modest nuclear arsenal, at a rate of about 1 bomb per 5000 MWd(t) of operation. To achieve "super" and "weapons" grades of plutonium, as defined in Table 17.2, the burnups should be about 0.3 and 0.9 GWd/t, respectively [16, p. 463]. ♦ About 1 g of plutonium is produced per megawatt-day (thermal). How is plutonium produced in nuclear reactors?